ShoreRivers, as Midshore Riverkeeper Conservancy (MRC) prior to the recent merger, was recently awarded a grant of $451,960 from the National Fish and Wildlife Foundation (NFWF) Chesapeake Bay Stewardship Fund to create a regional program that advances the implementation of conservation drainage practices and tests new agricultural best management practice technologies that have great potential to reduce nutrient and sediment from entering the Chesapeake Bay. Many local farms were initially drained using a system of drain tiles. Unfortunately, over the decades these structures have deteriorated. 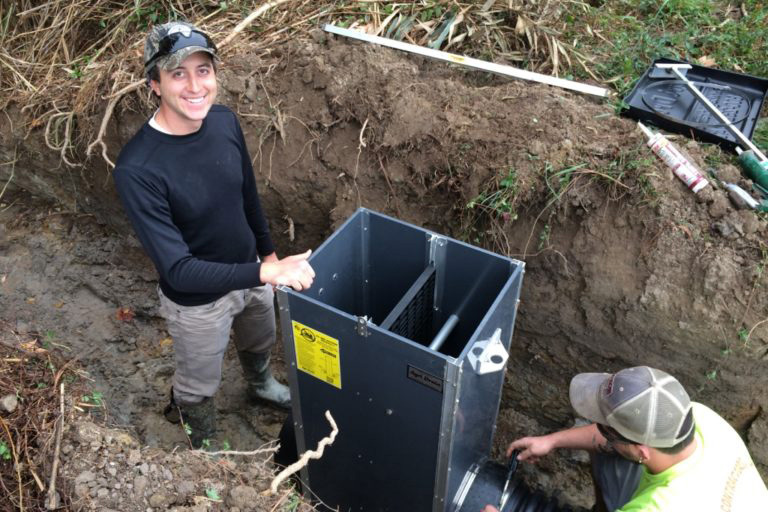 ShoreRivers will work with agricultural landowners to retrofit old and failing drain tile lines with the latest conservation practices and create a drainage water management plan to maximize the benefits of the new conservation drainage system. These innovations will reduce sediment, nitrogen, and phosphorus losses from agricultural land that has drain tile lines. A goal of this program is to accelerate the implementation of the outlet and infield best management practices by incentivizing farmers through offering the replacement of antiquated existing drain tile and surface inlets. This work will create a framework for a conservation drainage program that can be used to encourage the funding of a state-run program administered by the Maryland Department of Agriculture. In addition, the program will provide a blueprint for other Bay states to adopt their version of a conservation drainage program. This program will help bring Maryland to the forefront in addressing agricultural drainage pollution and help position our farm community to be more economically and environmentally sustainable. ShoreRivers’ program will focus on four watersheds—the Choptank, Nanticoke, Pocomoke/Tangier, and Chester—that span eight Maryland counties. Completion of this grant will result in the installation of eight separate projects that incorporate either a denitrifying bioreactor, saturated buffer, or structure for water control and blind inlets. It is anticipated that 2 denitrifying bioreactors, 2 saturated buffers, and 4 structures for water control will be installed with an estimated 14 blind inlets. In total, this will reduce a total of 3,456 pounds of nitrate-nitrogen per year, 49 pounds of phosphorus per year, and 46,666 pounds of sediment per year. ShoreRivers has obtained commitments from private and state sources to provide a match of $467,980, enabling the organization to devote a total of $919,940 to this important work. For more information contact ShoreRivers Staff Scientist Tim Rosen at 443.385.0511 or trosen@midshoreriverkeeper.org.